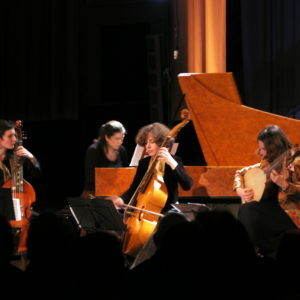 The ensemble, founded on Marianne Muller’s initiative, enjoys performing a wide range of music featuring the bass viola da gamba as a solo instrument. Whether in France, England, Germany, Italy, Spain or even in Central Europe, the viol has sparked such a vast array of imaginative literature over the course of three centuries, as it still does for that matter, and has taken on so many different roles and styles within the history of music, that there will never be a shortage of new works to discover and share with new audiences. From Book II of the ‘Pièces de Viole’ : ‘Les Folies d'Espagne’: 32 variations on a theme; Suite in E minor. From Book IV : ‘Le Labyrinthe’. This playful program is a portrait gallery by and of a number of French composers who, in the seventeenth and eighteenth centuries, produced musical portraits of one another as well as the odd self-portrait, often with great wit. Brought together here are Monsieur de Sainte-Colombe, Robert de Visée, Marin Marais, Jacques Duphly, Antoine Forqueray and Jean-Philippe Rameau. A tour of seventeenth-century Germany, where the legacy of the French dance suite is clearly still very much alive. This program contrasts two different aspects of the French dance suite, as treated by two composers whose works are not entirely at variance, but whose style is influenced by their favourite instrument, namely the viola da gamba and the harpsichord. The two are shown to meet on their common ground: poetic elegance and spring-stepped liveliness. 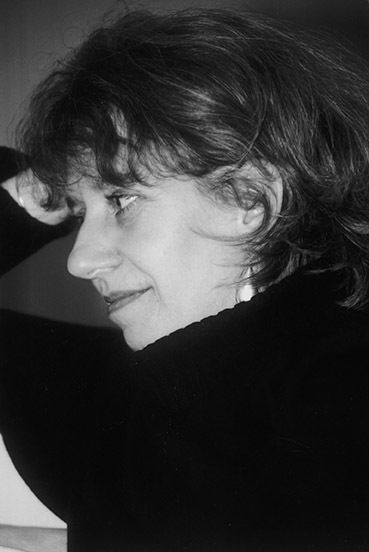 Violaine Cochard is a graduate of the Conservatoire National Supérieur de Musique in Paris , where in 1994 she won First Prizes in a unanimous vote both in harpsichord and basso continuo. 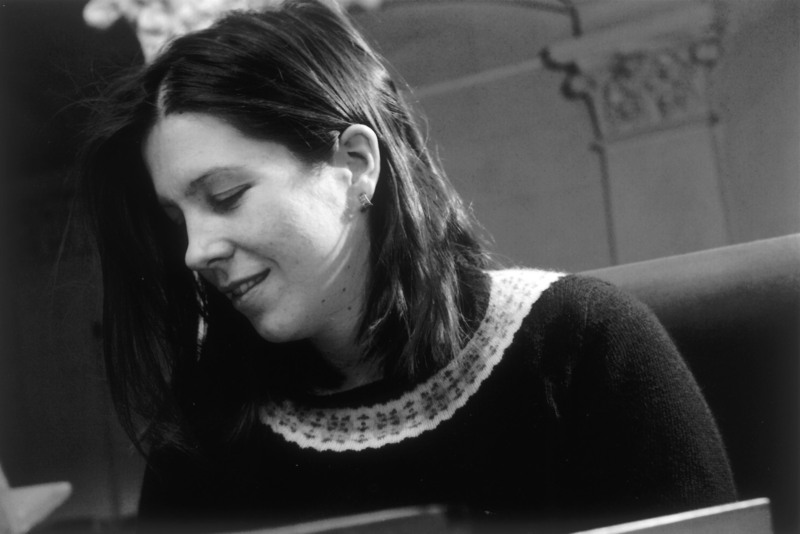 She also took the First Prize at the International Harpsichord Competition in Montreal in 1999. She now divides her time between her activities as a soloist, a vocal coach and a chamber music performer with many baroque ensembles, most notably Amarillis, of which she is a founding member. She performs in Europe, Latin America, Canada, Japan, India, China and Turkey. 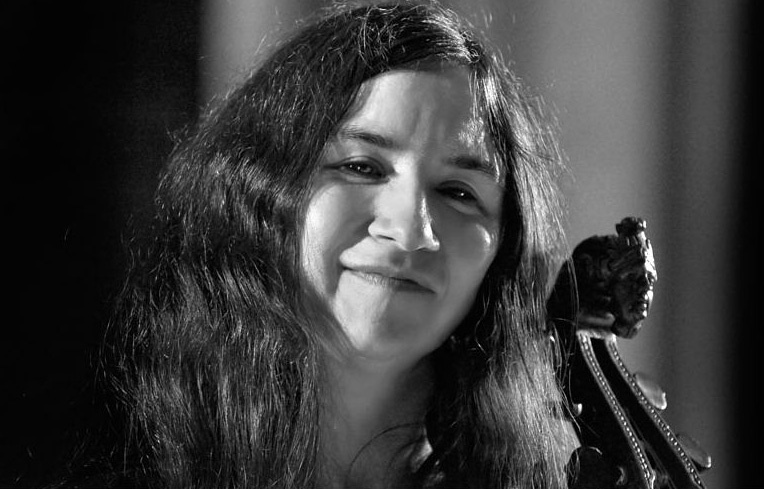 Violaine Cochard has made some thirty recordings for various labels, including three solo recitals of music by François Couperin and J.S Bach. She also enjoys collaborating with musicians from other fields such as jazz pianist Edouard Ferlet or the modern-music band Tram des Balkans. Claire Antonini is a lutenist and a graduate of the Conservatoire Supérieur de Musique de Lyon ; she is considered to be one of the foremost experts on French lute music of the seventeenth century, a repertoire which has provided her with material for three solo recordings. She regularly performs as a soloist but also enjoys playing with singers such as Philippe Jaroussky, Monique Zanetti, Isabelle Poulenard, Stéphanie d’Oustrac and other instrumentalists, particularly Marianne Muller. She also performs with a number of baroque orchestras, including Le Concert d’Astrée, Les Arts Florissants, Le Concert Spirituel and La Grande Ecurie et la Chambre du Roy. She holds both the Diplôme d’Etat (teaching qualification) in Traditional Music and the Certificat d’Aptitude (highest French teaching qualification) in Early Music. As a teacher, she has been an active member of faculty in several different Conservatories. 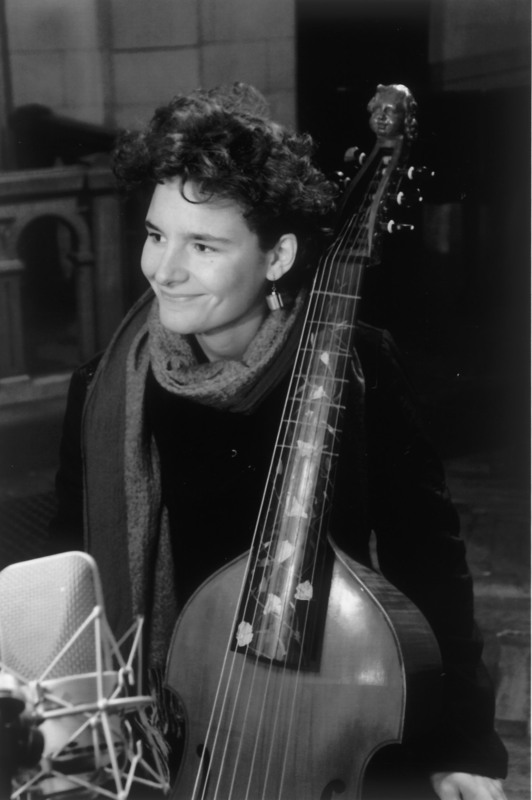 Emily Audouin first started learning to play the viola da gamba with Danièle Alpers. As an undergraduate student in German and musicology at the University of Bordeaux, she chose music as a career and enrolled at the Conservatoire in Tours with Christine Plubeau before being admitted into Marianne Muller’s class at the Conservatoire National Supérieur in Lyon, from which she graduated in 2004. She has since performed with a number of ensembles such as Spirale, directed by Marianne Muller, La Rêveuse, jointly directed by Florence Bolton & Benjamin Perrot, La Grande Ecurie et la Chambre du Roy (Jean-Claude Malgoire), Amarillis (with Héloïse Gaillard and Violaine Cochard) and Correspondances (directed by Sébastien Daucé). She has also taken part in recordings with several of these ensembles. Emily Audouin teaches viola da gamba in two Conservatoires near Paris; she continues to perform in concerts and most enjoys playing chamber music. Sylvia Abramowicz was drawn to early music at a very young age; she began by learning to play the recorder, then the viola da gamba at the Schola Cantorum in Paris. She continued her training in the Netherlands, at the Royal Conservatory in The Hague and completed it with Jordi Savall at the Schola Cantorum in Basel. In 1988, she qualified for the Diplôme d’Etat (national teaching certification) in Early Music and in 1998 for the Certificat d’Aptitude (the highest French teaching qualification) in Early Music. 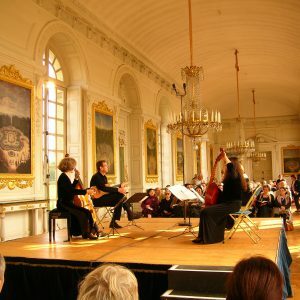 She teaches viola da gamba at the Conservatory in Saint-Cloud, near Paris. Sylvia Abramowicz has been invited to perform with most major early-music ensembles, including Le Poème Harmonique, the Ensemble Pierre Robert, Doulce Mémoire and the Collegium Vocale in Gent. She is partial to Renaissance music, to unusual combinations of traditional and early music and to new compositions. In 1985, with Jonathan Dunford, she founded A Deux Violes Esgales, a duet which has since frequently performed in Europe, Asia and in the United States. Sylvia Abramowicz has also taken part in many recordings. 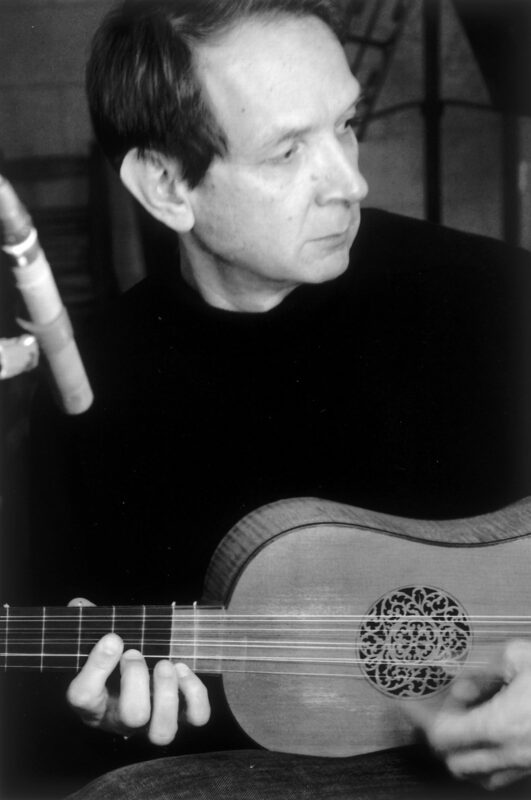 A trained physiotherapist, Charles-Edouard Fantin first taught himself to play the Renaissance lute, theorbo and baroque guitar before he enrolled in Eugène Ferré’s class in Lyon and graduated from the Conservatoire National Supérieur de Musique He has since then been in great demand as a continuo player for a number of highly renowned early-music ensembles such as La Grande Ecurie et la Chambre du Roy, directed by Jean-Claude Malgoire, A Sei Voci, Doulce Mémoire, Labyrinthes (directed by Eugène Ferré), La Fenice, Elyma (directed by Gabriel Garrido), Stradivaria (Daniel Cuiller), Huelgas (Paul Van Nevel), the Sacqueboutiers de Toulouse and the Maîtrise Notre Dame de Paris. 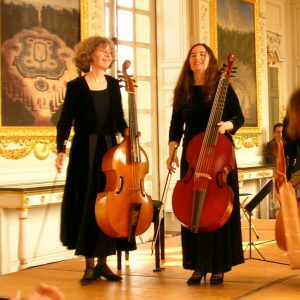 After completing a curriculum in Early Music at the Schola Cantorum in Paris, Marianne Muller chose the viola da gamba as the instrument with which she would embark on her life as a musician. She went on to study with Wieland Kuijken at the Royal Conservatory in The Hague and received her solo degree. A participant as well as a witness of the Baroque revival, Marianne Muller has long been active as an accomplished concert performer; her career has taken her around the world both as a soloist and as a chamber musician. 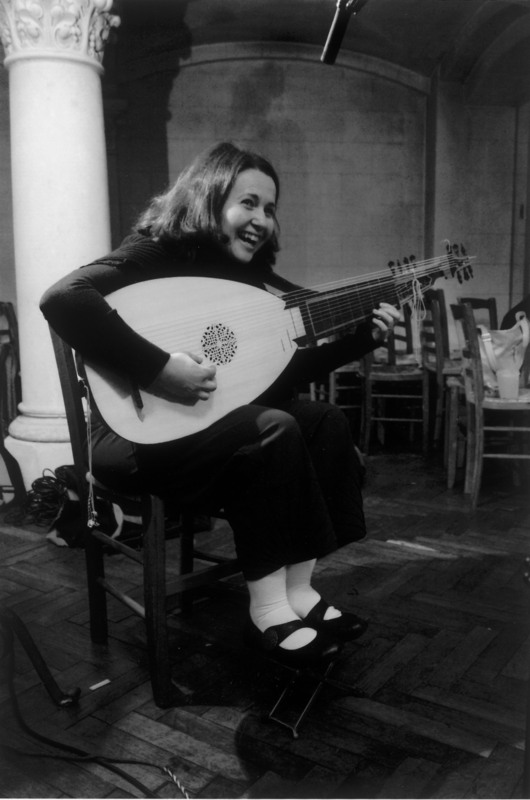 Audiences have heard her perform with ensembles such as Les Arts Florissants, La Chapelle Royale, Amalia, Hespèrion XXI, Les Eléments, Les Nièces de Rameau, Gilles Binchois, William Byrd, Akadêmia and Les Inventions.